Hello, I'm Bear from the 2012 a cappella Training Program. Today, I would like to talk about my experience in participating in the production of 'Si Gwong Gei'. 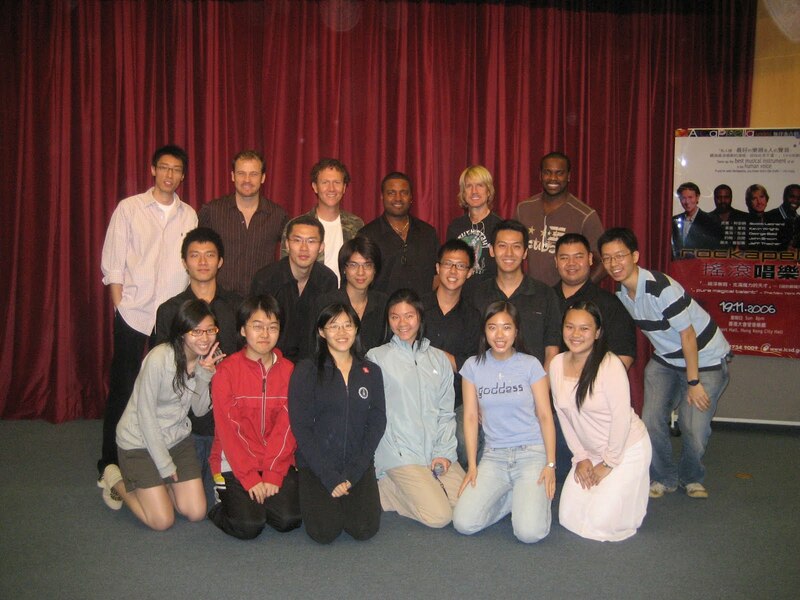 Firstly, I would like to thank Patrick, Anita and Thomas for giving me the chance of being a part of this experience. I treasure the opportunity to observe a splendid theatre production. For the last few weeks, I had been attending the rehearsals of Hong Kong Melody Makers and helped filming occasionally. It wasn’t a difficult job, though I messed up some times. Still, the filming work wasn't my main focus, it was to learn while enjoying their performance. Sometimes when I came over, some HKMM members would come and thank me for putting effort into this show. I can feel the warm appreciation and the welcome for me, then I realized, it is their hearts which makes HKMM the best and special in their own way. On the days when the rehearsal takes place at night, it's easy for me to be emotional. When I hear their songs, I can always bring out my sadness and happiness as there are quite a lot of different songs with a variety of feelings. It felt like as the songs were taking me on journeys. During these days, I am always receiving rather than contributing. I learn life-long skills from the rehearsals, but all I did was to record paragraphs. The theatre offered me opportunities. 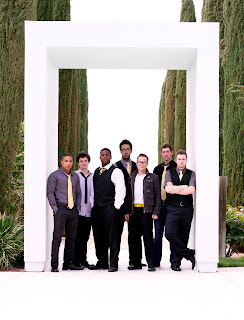 Now that all the events are gone, what has left is my heart for a cappella. Joining this theatre production definitely brings me a lot of admiration for Hong Kong Melody Makers. 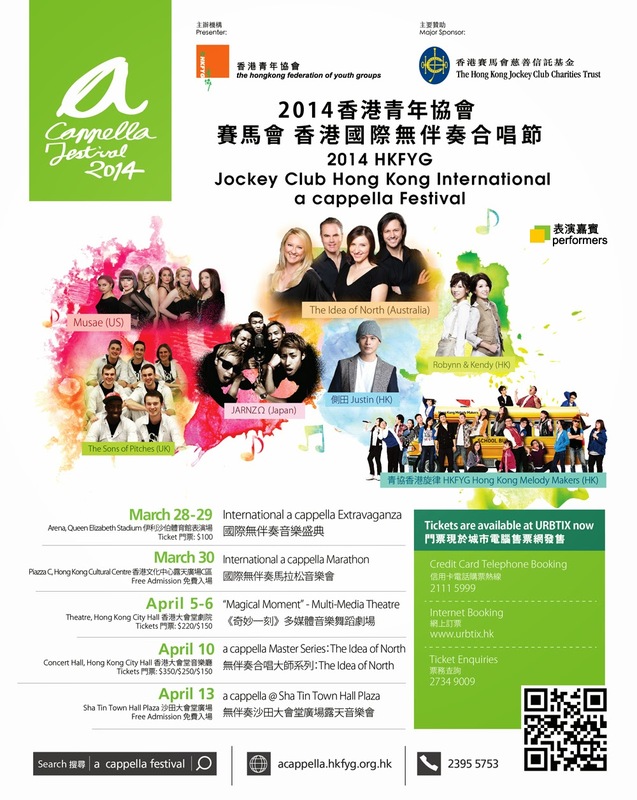 Due to venue issues, we are sorry to announce that the March 30 a cappella Showcase (in Hong Kong Polytechnic University) has been cancelled. 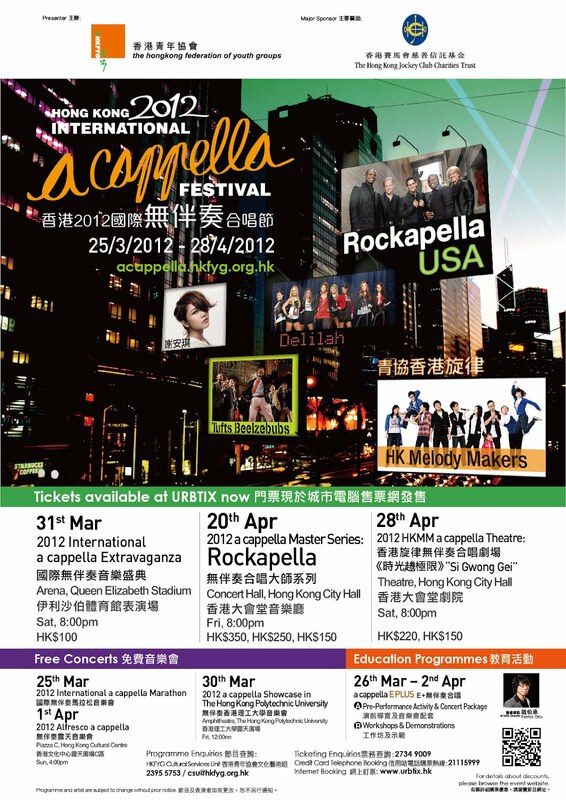 And don't forget the biggest a cappella concert of the year, the 2012 International a cappella Extravaganza on March 31! This is the event's third year, building on the enthusiastic response to the last two concerts in Queen Elizabeth Stadium. You'll be able to hear overseas talent as well as local pop stars in a stadium setting! 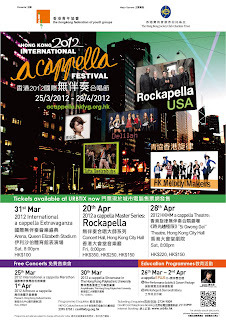 This year, our 2012 a cappella Festival Ambassador is local artiste Kay Tse. Her live performances are always enjoyable, but what sparks will fly when she sings a cappella? 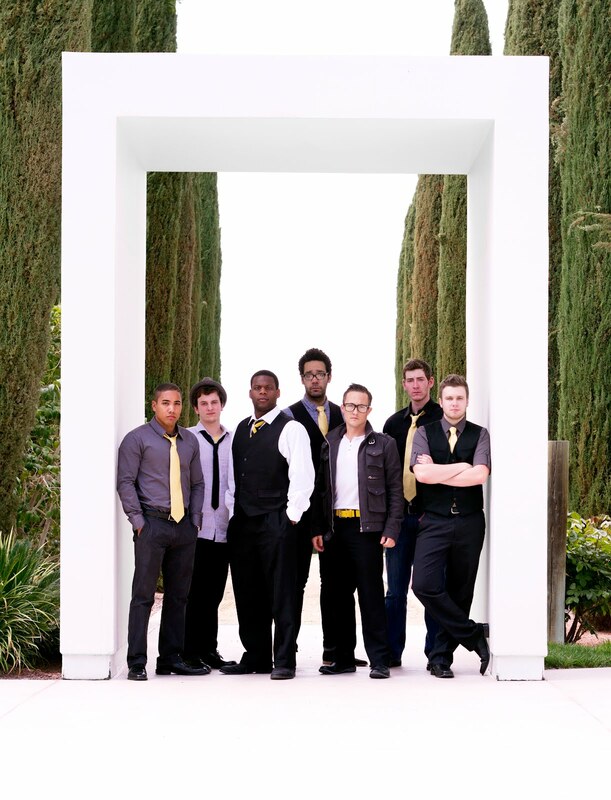 Find out in the 2012 International a cappella Extravaganza! Keep watching this blog and our Facebook Page for more Festival news!